Tony Verticchio focuses his practice on insurance coverage and litigating commercial business disputes. He has successfully represented a wide variety of business clients, including large financial institutions and other business clients both inside and outside the Cincinnati area, both in insurance coverage work and in litigation. Tony’s insurance coverage practice is diverse, and includes assisting clients in submitting claims to their insurers and engaging with insurers in order to maximize recoveries for the client. He has also engaged in insurance coverage litigation when insurers improperly deny coverage for claims or fail to compensate insureds to the fullest extent allowable. In some cases, an insurer agrees to provide defense counsel to defend an insured against a lawsuit, but reserves its rights to eventually deny coverage. Tony assists clients in those instances by monitoring litigation defense counsel in order to protect the clients’ interests with respect to insurance coverage. In addition, Tony reviews and analyzes insurance policies in order to negotiate coverage enhancements, and to assure that the client’s insurance program adequately addresses the client’s needs in relation to its business. Tony has experience with and has advised clients in a broad range of areas, including Commercial General Liability (GL or CGL) policies; Umbrella and Excess liability policies; Director and Officers (D&O) liability policies, Side A/DIC Directors and Officers policies; Employment Practices Liability (EPL) policies; Fiduciary Liability policies; Executive Risk policies; Financial Umbrella policies; Professional Liability / Errors and Omissions (E&O) policies; Automobile policies; Life Insurance policies; Cyber Liability / Privacy policies; and Property and Business Interruption policies. Tony also has experience in all aspects of litigation, including depositions, oral argument, motion practice, written discovery, trial preparation, trials, and appellate litigation. He has litigated cases within federal and state courts, both at the trial and appellate level, and in administrative hearings. Tony successfully defended ERISA fiduciaries as trial counsel in a 15-week bench trial resulting in a complete defense judgment on all claims by a plaintiff class seeking over $200 million for breach of fiduciary duty claims under ERISA. More recently, Tony successfully defended his bank client as trial counsel in a month-long trial against lender-liability claims. The adverse party in that case sought a judgment of over $60 million, but was awarded nothing. In addition, the court found in favor of the bank on its request for its attorney’s fees and costs, and in the enforcement of a guaranty, resulting in a finding awarding the bank $3.5 million in damages. Other recent experience includes an arbitration against a business client’s insurer that resulted in the client obtaining compensation for the vast majority of its claim amount, a suit against an insurer for property damage approaching $10 million, defense of a financial institution in class-action federal securities litigation, defense of a publicly traded company against class-action allegations in a Title VII case, and defense of multiple clients in ERISA litigation. In addition, he has advised mass tort settlement funds on insurance coverage, defended against state and federal breach of fiduciary duty claims, has prosecuted property damage claims, and has prosecuted and defended breach of commercial contract claims. While in law school, Tony served as a judicial intern in the chambers of the Honorable Richard B. Teitelman, Chief Justice of the Supreme Court of Missouri. 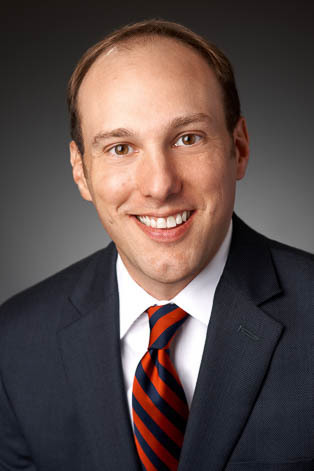 Tony currently serves as the coordinator of the firm's pro bono program.